The Grove Aero team is putting together all of the best parts available to make this plane a leading contender. 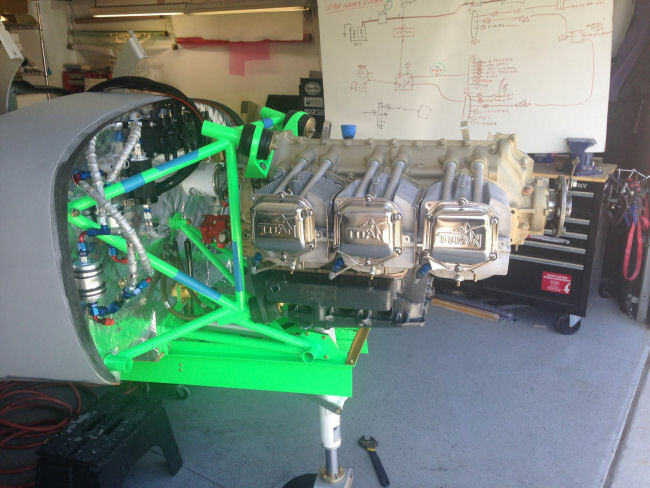 The EFII ACE 540, twin turbo engine has been hung. There is a lot of fab work and plumbing to do yet to get the turbo systems in place. 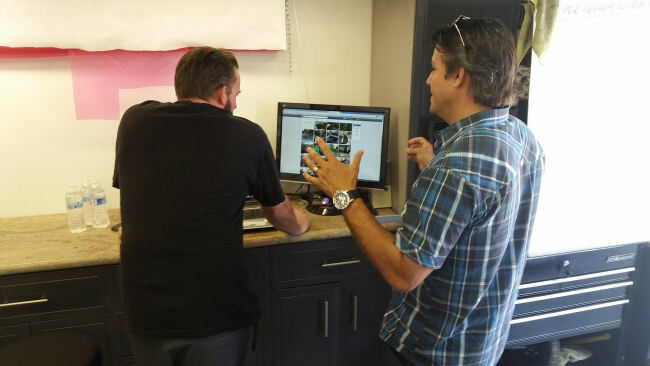 Here John Walker and Karl Grove are working on the design of the electrical power distribution. This plane has a dual voltage electrical system. The landing gear and starter are 24V and everything else is 12V. A single 24V alternator will power both sides of the electrical system. Here is a good shot of the avionics shelf. This plane is getting a pretty basic avionics suite to keep things light. You can see the dual EFII ECUs and Bus Manager. 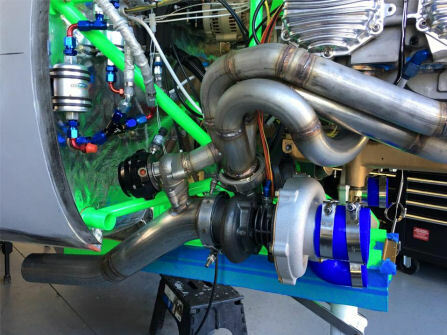 Here is a good shot of one of the turbochargers and its wastegate. 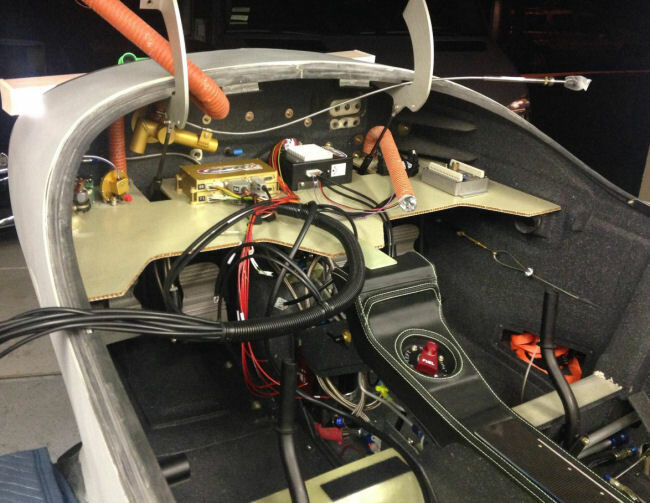 In this picture, you can see the induction system coming together. The EFII throttle body is in the middle of the pic. 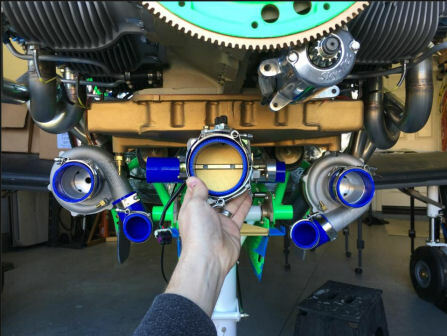 This will be fed from both turbos through a Y pipe.